Welcome to this month’s ON THE BUSES newsletter. 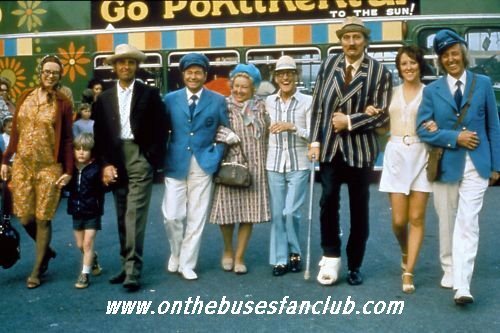 Next month is the main ON THE BUSES event and this year it will be held at Elstree TV and FIlm studios. Come and celebrate some of the Best of British big screen hit sitcoms at the home to many of the great cinema versions of small screen comedy classics. 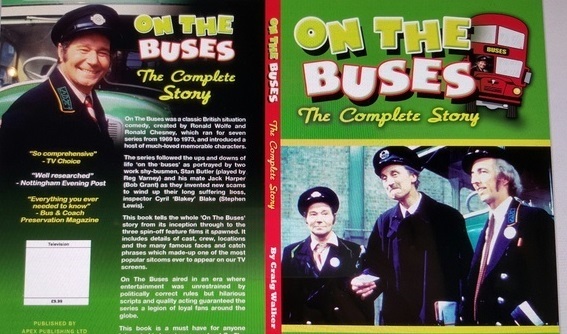 Come and join Anna Karen (Olive) & Andria Lawrence (Turnaround Betty) along with the film's Executive Producer Roy Skeggs and a host of cast and crew for an EXCLUSIVE screening of previously UNSEEN interviews with Reg Varney, Stephen Lewis & Anna Karen, the screening of some classic On the Buses moments and question & answer sessions with the guests. And there’ll be a signing session too. So get your tickets. Plus it will be the last time we are able to get such a number of ON THE BUSES special guests all together in one place for such an event. So don't miss the bus, get your tickets NOW. In the evening From 6:30 - 9:30pm Man About the House & George & Mildred with special tribute to the late Yootha Joyce. Come and join Sally Thomsett (Jo), Norman Eshley (Jeffrey Fourmile) and Nicholas Bond Owen (Tristram) along with fellow cast and crew members for a fun evening of exclusive recordings, question & answer sessions, signings and a tribute to the much loved Yootha Joyce. *SPECIAL OFFER* Buy an adult ticket for both sessions AFTERNOON AND EVENING (£50) and receive a FREE copy of the New Elstree Studios Book RRP £30. Don't forget there are also two bus tours taking place over the weekend. Published by Caledonian Books LTD. 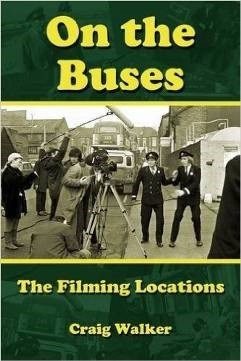 The most comprehensive book ever written about filming locations that featured in the hit British sitcom On the Buses. 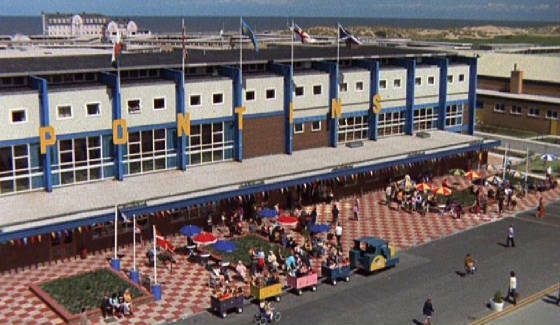 Cataloguing over 200 filming locations used in the television series and three spin-off films with then and now photographs, directions on how to visit each location using public transport, trip and travel suggestions and some rare photographs from behind the scenes. A book to reminisce, to use as a guide and also encourages you to turn into a location detective. Brought to you by Caledonian Books LTD.
A few months ago I was approached by a nice man called Michael Downes who does a lot of work for our really interesting little museum called The Fairlynch. He said that as it was the centenary of my dad`s birth in 1916, he would like to organise an exhibition in his honour. Wow! Well, I went up into the attic and had a wonderful wallow in nostalgia. My mum Lily had kept lots of old photographs, cuttings, magazines and awards from dad`s long career. Where to start.! Michael came round to chat and I told him all about my father`s early life then about his start in show business at 15, then right through his career, including "On the Buses" and beyond. Dad always had the funniest stories about his early life and times in the theatre so I had plenty of material. The upshot is that Michael and the Fairlynch have made a wonderful exhibition with all the old photos and awards and suchlike, including some of my father`s own paintings which I am auctioning in aid of the North Devon Children`s Hospice. Michael also wrote a little book which the museum have on sale all about dad`s life and career which includes many of the old photos. I found it very touching that so many people still remember and love him. I am very proud. If that was not enough; on the weekend of the 9th and 10th of July, just before what would have been his birthday, the museum have organized a vintage open top double decker bus for trips around the town! Yet another bit of news is that a very talented writer named Steve Andrews who also lives in Budleigh has taken stories from my father`s book called "The Little Clown". The book tells stories of growing up in the East End of London and his early start in showbusiness singing and playing the piano in the working men`s clubs. He is turning them into a show including songs he used to sing and memories of those long ago times. I am really looking forward to it. the show will be called "Before the Buses" and is here in Budleigh on the 1st and 2nd of July. If any of you are going to be down this way, do visit the Reg Varney Exhibition, come along and see the show, or maybe take the bus along the sea front. Budleigh is a lovely place to visit anyway! Thank you all so much for being loyal fans. The Reg Varney Exhibition is on at the museum of Budleigh Salterton where Reg spent his retirement. This is a great exhibition covering Reg’s life and career and you can see some very rare photos and items, there is also a rambling tour you can take following in Reg’s footsteps. Plus there are other special events at on various dates as part of this exhibition on so get yourself down there and spend a nice time visiting the museum and the seaside. Budleigh Salterton is a small town on the coast in East Devon, England, 15 miles south-east of Exeter. Opening times for the Museum: Easter to the end of October. 14:00 - 16:30 daily, except Mondays. Would you like to own an original Reg Varney painting and help Children's Hospice South West? Just go to Latest museum news and scroll down the page to find out how to bid for one of the paintings. The 2016 On the Buses Elstree Extravaganza. The event will take place at the home of the three spin-off films - Elstree Studios on Saturday the 25th of June 2016. Sunday will see us board a Routemaster bus to the Cemetery Gates and other locations, returning around lunch time. To provisionally reserve your tickets email Craig at caledoniancraig@outlook.com . This year we will be screening never before seen interviews done at Elstree with the late great Reg Varney and Stephen Lewis and lots more. Itinerary details will follow early in the New Year. DING DING! It is with sadness I have to report the passing of Rose Wolfe, wife of the late Ronnie Wolfe. Our thoughts are with the family at this sad time. 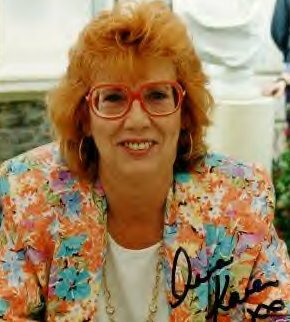 Ronnie Wolfe married, in 1953, Rose Krieger who, as his secretary, must have typed over 90 per cent of his entire comic output for Ronnie. Rose was a lovely lady and along with Ronnie were great supporters of our events. RIP Rose. An affectionate look back on life as a production runner for Hammer Films in the early 1970′s as experienced by Phil Campbell and Brian Reynolds. The book covers the guys working in Londons' West End at Hammer House, and down at Elstree Studios between 1970 and 1972. 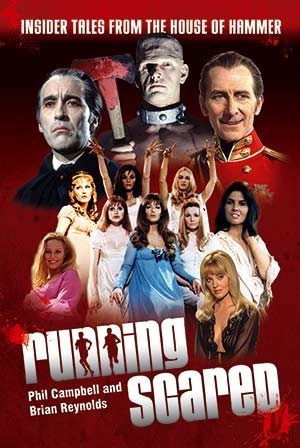 So amongst the liberally spread features on Hammer Horror classics like The Vampire Lovers, Dracula A.D. 1972 and Blood from the Mummy's Tomb, there are two chapters on the time they spent 'running' on the feature films of On the Buses and Mutiny on the Buses, with many photos of the stars and stories from behind the scenes. A NEW BUS BOARD GAME? I am soon to launch a Kickstarter crowdfunding campaign to try to raise funds to have my mock up of a bus themed board game called "Stop On Time", mass produced. Kickstarter campaigns rely on people seeing the project creators page and backing the project if they want to see it come to life. Many years of experience in the bus industry have gone into this game and I wonder if there is any way you could help getting the word out to bus enthusiasts and bus people in general to give them a chance to be involved in bringing the game to life ? Below is a link to my Kickstarter project page (which is still being worked on but nearly finished) which will give you an insight into the campaign and the project, and a flier which is being used to promote the campaign.